Weatherhead 100 Upstarts Announced – Who Will Be #1? To qualify, these companies had to demonstrate significant sales growth and employ 15 or fewer employees, and/or have less than $5 million in net sales in the last year. 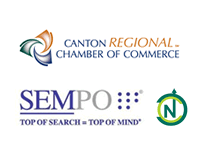 From Hudson to Twinsburg to Rocky River, Brecksville, Elyria, Mayfield Village, Beachwood to Akron & Cleveland – These are the companies to watch in 2016! We are honored to be among them and congratulate our NEO colleagues of like-minded entrepreneurial spirit. The Weatherhead 100 award was established in 1988 to celebrate Northeast Ohio’s spirit of entrepreneurship and to recognize companies that exemplify innovative success in our region. The annual Weatherhead 100 awards ceremony recognizes the region’s fastest-growing companies based on revenue from the past five years. Want to be one of the first to know who is #1? Join us Thursday, December 3, 2015 for the Weatherhead 100 award ceremony. Register Now. Denise Bellis is an IT & MarCom professional with over 15 years experience in planning integrated marketing campaigns and executing in a multi-channel environment. She originally started out in IT as an IS Manager and moved into enterprise-wide architecture design and Project Management. With her roots in IT, she has spent the last 10 years harnessing CRM, Data Mining & emerging technologies as a means of fulfilling the marketing agenda. She has served as a consultant to several Fortune 500 & non-profit firms.